La Mode Magazine Cover Personality Exclusive Interview Ifiokobong Anthony Akan!!! La Mode: Can we meet you? 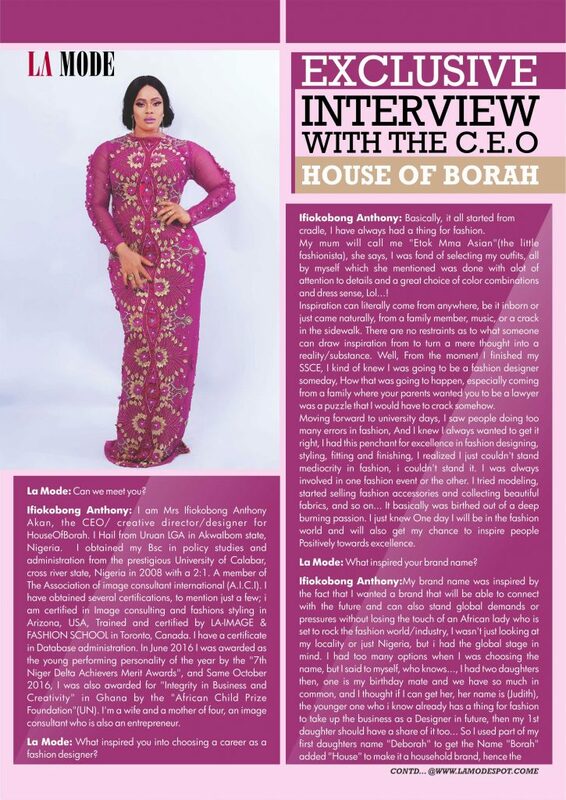 Ifiokobong: I am Mrs Ifiokobong Anthony Akan, the CEO/ creative director/designer for HouseOfBorah. I Hail from Uruan LGA in AkwaIbom state, Nigeria. I obtained my Bsc in policy studies and administration from the prestigious University of Calabar, cross river state, Nigeria in 2008 with a 2:1. A member of The Association of image consultant international (A.I.C.I). Trained and certified by LA-IMAGE & FASHION SCHOOL in Toronto, Canada. I have a certificate in Database administration. In June 2016 I was awarded as the young performing personality of the year by the “7th Niger Delta Achievers Merit Awards”, and Same October 2016, I was also awarded for “Integrity in Business and Creativity” in Ghana by the “African Child Prize Foundation”(UN). I am a wife and a mother of four, an image consultant who is also an entrepreneur. La Mode: What inspired you into choosing a career as a fashion designer? 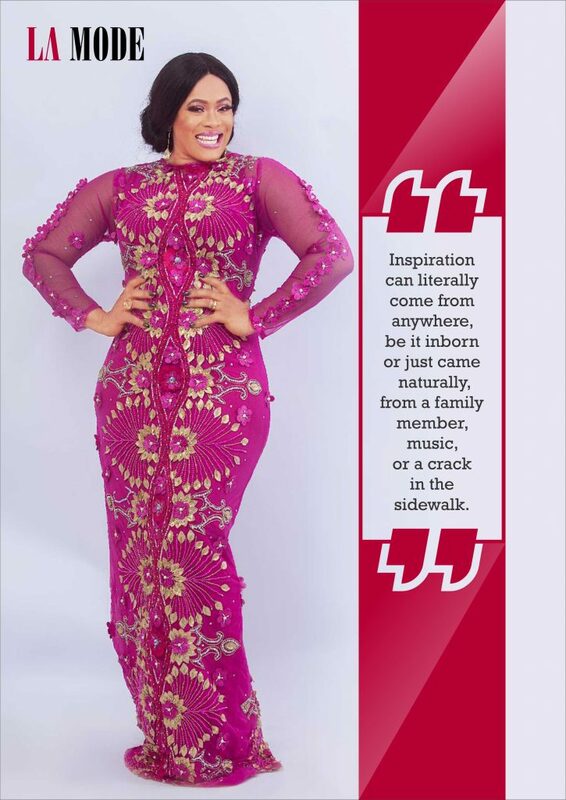 Ifiokobong: Basically, it all started from cradle, I have always had a thing for fashion. My mum will call me “Etok Mma Asian”(the little fashionista), she says, I was fond of selecting my outfits, all by myself which she mentioned was done with lot of attention to details and a great choice of color combinations and dress sense, Lol…! Inspiration can literally come from anywhere, be it inborn or just came naturally, from a family member, music, or a crack in the sidewalk. There are no restraints as to what someone can draw inspiration from to turn a mere thought into a reality/substance. Well, From the moment I finished my SSCE, I kind of knew I was going to be a fashion designer someday, How that was going to happen, especially coming from a family where your parents wanted you to be a lawyer was a puzzle that I would have to crack somehow. 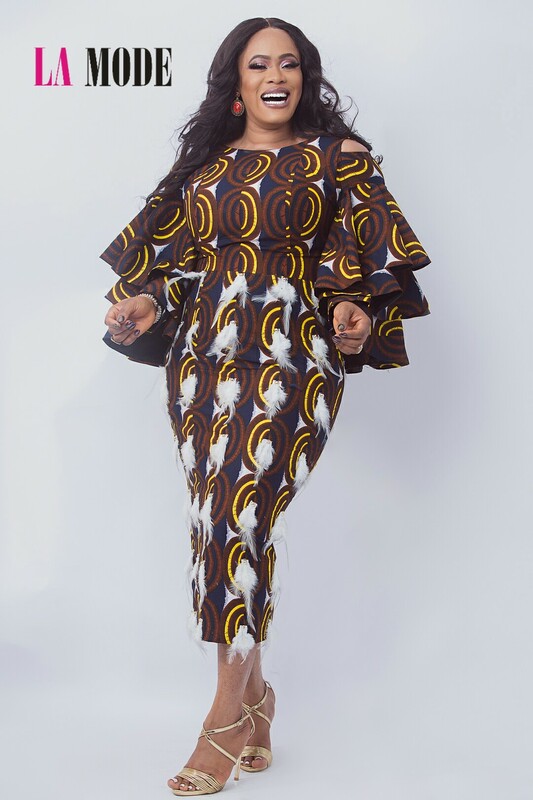 Moving forward to university days, I saw people doing too many errors in fashion, And I knew I always wanted to get it right, I had this penchant for excellence in fashion designing, styling, fitting and finishing, I realized I just couldn’t stand mediocrity in fashion, i couldn’t stand it. I was always involved in one fashion event or the other. I tried modeling, started selling fashion accessories and collecting beautiful fabrics, and so on… It basically was birthed out of a deep burning passion. I just knew One day I will be in the fashion world and will also get my chance to inspire people Positively towards excellence. La Mode: What inspired your brand name? 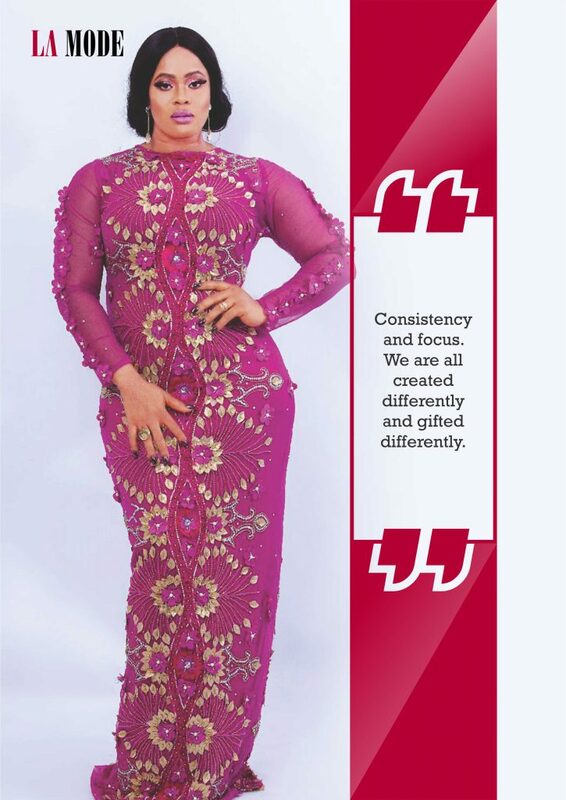 Ifiokobong: My brand name was inspired by the fact that I wanted a brand that will be able to connect with the future and can also stand global demands or pressures without losing the touch of an African lady who is set to rock the fashion world/industry, I wasn’t just looking at my locality or just Nigeria, but i had the global stage in mind. I had too many options when I was choosing the name, but I said to myself, who knows…, I had two daughters then, one is my birthday mate and we have so much in common, and I thought if I can get her, her name is (Judith), the younger one who i know already has a thing for fashion to take up the business as a Designer in future, then my 1st daughter should have a share of it too… So I used part of my first daughters name “Deborah” to get the Name “Borah” added “House” to make it a household brand, hence the fusion of both gave birth to *HouseOfBorah*. And yes, I have a third girl now though, she will play a major role in this brand too in the future not withstanding what other career path they would be involved in, this has come to stay as a household venture which we are passionate about. La Mode: We make your brand different from other fashion designers? Ifiokobong: Consistency and focus. We are all created differently and gifted differently. Our brand has a lot in the pipelines that we are yet to unveil, what we have done so far is just a small part of a bigger picture which we are set to unveil soon. We have our 25years plan drawn out, which has been broken down to different stages of 5 years interval and which is still undergoing a lot of improvement owing to the fact that the industry is a dynamic one and flexibility is key in this industry, but one thing I know I have done over the years is stay focused and have my eyes fixed on the price. The biggest competition is myself. I am not looking to follow others or pull them down rather i encourage others. I’m planning to test my own boundaries and see how far i can stretch across the horizons. That is what the fashion industry is lacking seriously. Everyone is on the fast lane. Everyone wants to copy, everyone is in a hurry because they are worried and focused on the next person. The moment you realize that a successful competition, is always going out there and putting 100 percent into whatever It is you are doing. It’s not always winning. People, I think, mistake it, that it’s just winning. Sometimes it could be, who knows! But for me, it’s hitting the best sets I can, gaining confidence, and having a good time and having fun. There is so much going on offline than what the online makes the world to believe. Social media is good, yes it’s a tool, but use it wisely, because running a business needs more than just a beautiful picture on the gram. So we focus more on sustainability, which I’m sure a lot of brands ignore. I do my very best to stay original, because nothing kills creativity like having a penchant for copying, well people can copy your style but they sure cant copy your brain…Lol. I guess I have just learned how to stay on my path and do my own thing. Originality is what will make the world come look for you. 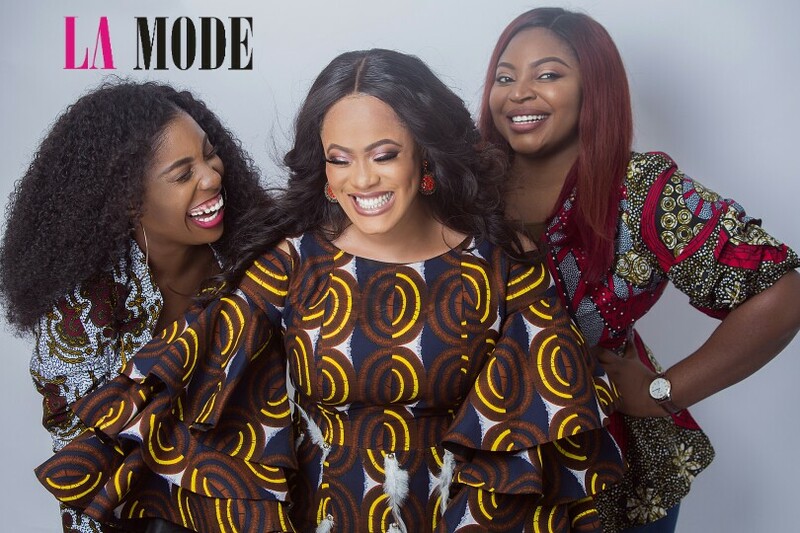 La Mode: How do you see the Nigeria Fashion business in few years from now? Ifiokobong: The Nigerian fashion industry is already the new Oil and Gas industry. I say this a lot… The world is already feeling us. We’ve grown in leaps and bounds in the past few years, and many greater things will come to play if we stay organized and focused. 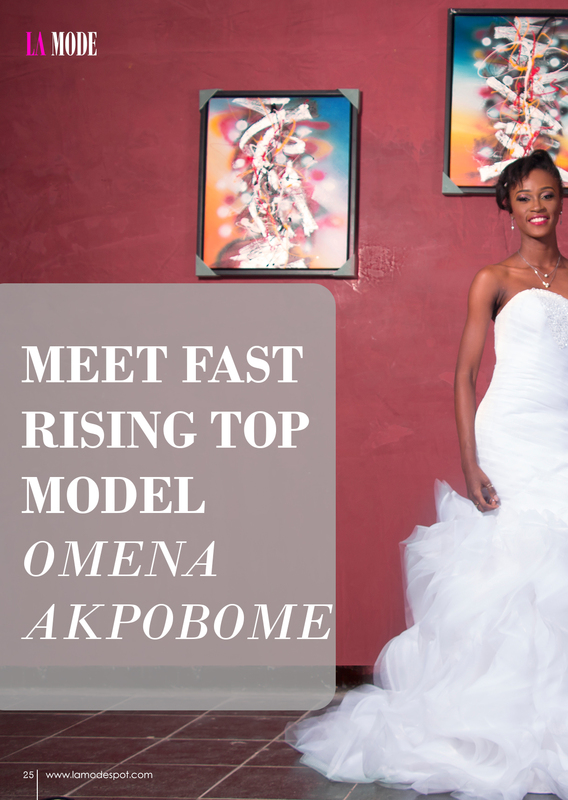 Nigerian fashion designers are already creating world-class products for dresses, shoes, bags to even hairstyle. Trust me, in few years, the world will be shopping from Nigeria. The country. The future is here already… let’s make the best of it. La Mode: What is your opinion about entrepreneurship? Ifiokobong: Entrepreneurship as a fact has always been an integral part of the human society. It has become an engine of progress which led mankind from dark ages into the modern era. However, it I actually gathered that it was only first mentioned in the works of Adam Smith in the late 17th century. Moreover, the term “entrepreneurship” was largely avoided until the last 40 years (Schumpeter 2012). Nowadays, entrepreneurs have become iconic images of success, power and material stability. As a result, our society adopted this view and practically everyone tries to make their own entrepreneurial path in this world of ideas. Nonetheless, most of us encounter numerous obstacles on our paths which sometimes turn out to be complete disasters. To be a successful entrepreneur, it is essential to be communicable and be able to virtuously interact with other people. Social skills are import in day-to-day life, as well as in business. Being able to effectively communicate and transfer your own thoughts and opinion to others is an integral aspect of being a successful entrepreneur. Frequently, people get too carried away on their ideas and do not see other options. I firmly believe that successful entrepreneur must find a “golden mean” and combine confidence and ability to listen to others. These key elements display that interpersonal skills have an essential role in a life of entrepreneurs’ and significantly influence their performance in business. My thoughts though. La Mode: Who is your mentor? Ifiokobong: James Brenden. He is the creative director of JBliving. I’m sure he doesn’t know I will write this here… but nothing inspires me like having someone so selflessly ready to assist another. The fashion world needs more sincere and real people like him. He is my mentor. I call on him in the most difficult times in this business, and he actually has solutions to every fashion problem. Hahahah. La Mode: What are your hobbies? Ifiokobong: I love to read and write. I love to watch movies too sometimes and swim. 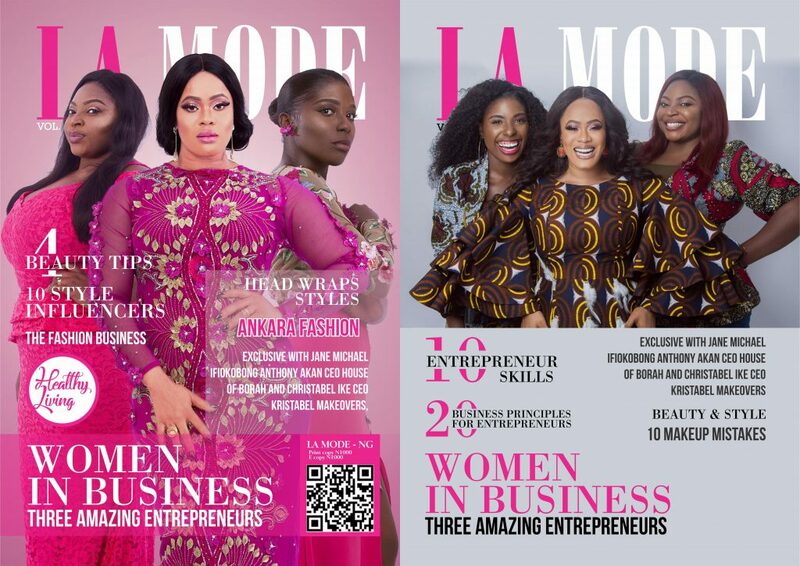 La Mode: Which local or international fashion magazine is your favorite? 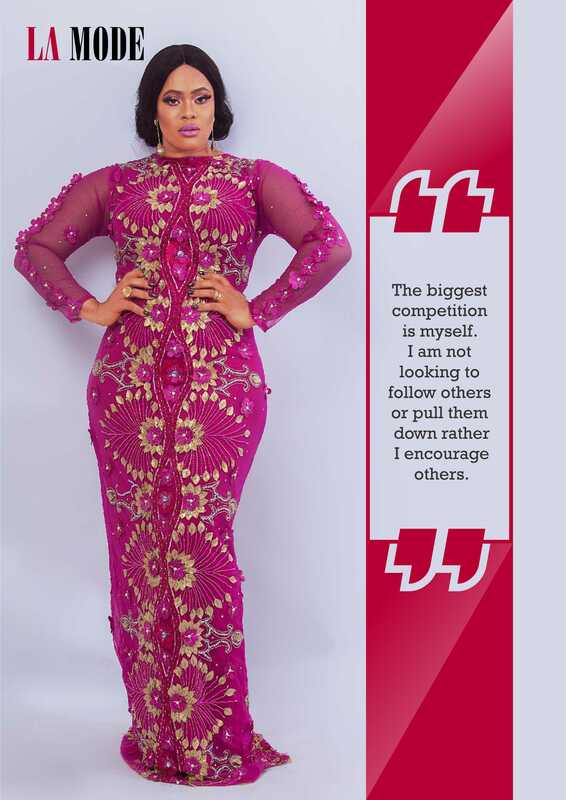 Ifiokobong: I love “Genevieve Magazine” Nigeria. It speaks class. I will be on that cover page someday. Amen. La Mode: What is your advice for people who look up to you? Ifiokobong: Thanks so much for looking up to me. Because you are there, I promise never to let you down. Love is the only language the world understands, please spread love… and always remember that to achieve greatness, you need to start where you are, use what you have, and do what you can.” The world needs you. Much love lovelies. Photos Of Miss World 2015 Charity Gala!!! !